The finishing touch every gift deserves. 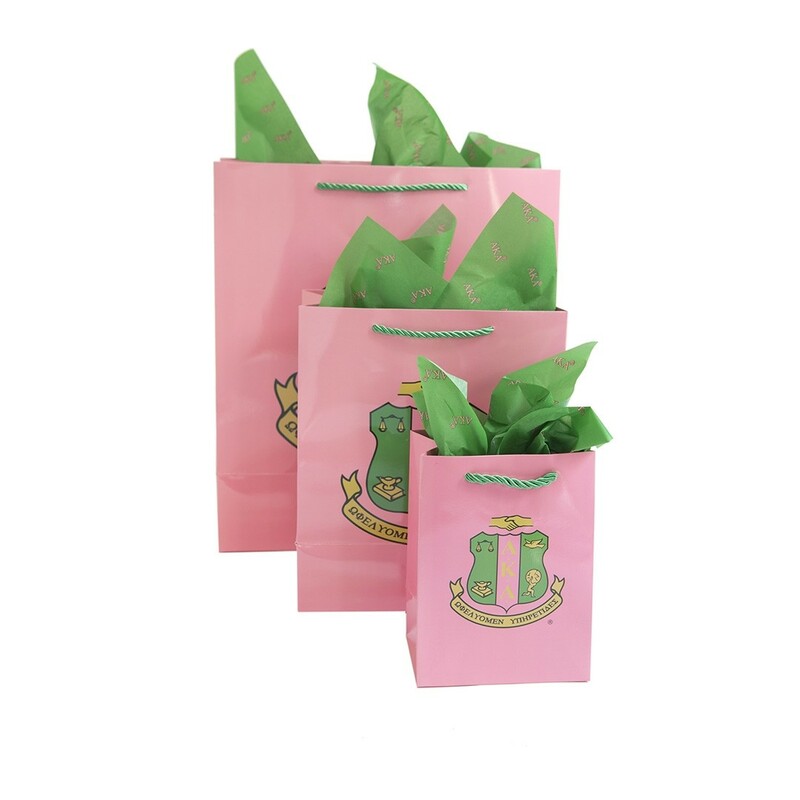 x 1 Crest Bag: 17" x 15" x 7"
x 1 Crest Bag: 12" x 10" x 5.5"
x 1 Crest Bag: 8" x 6" x 4"
x 15 sheets of decorated tissue paper. The finishing touch every gift deserves. Set Includes: x 1 Crest Bag: 17" x 15" x 7" x 1 Crest Bag: 12" x 10" x 5.5" x 1 Crest Bag: 8" x 6" x 4" x 15 sheets of decorated tissue paper.